Which Programming Website is Best? There’s so many options to choose from when it comes to picking a site to learn from that it can be overwhelming. Many sites offer basic courses for free and charge for more advanced chapters. What really set sites apart from one another is their presentation, programming languages offered, and teaching methods. You might need to try a few to find what works best for you, but we’ll rank the sites in order of what we think will be best for most people. Code School is one of the premier sites when it comes to learning programming. Their content is very well organized and put together, with each course having videos, slideshows, and interactive coding practice. Overall, these courses are more light-hearted and fun than many of the other websites which can be quite dry. Code School does a great job at reaching out to non-techies. What also makes Code School such a great choice is the variety of courses they have. As you can see in the below screenshot, they offer many different paths depending on your interests. Whether you’re interested in front-end or back-end development, there’s something for everyone. Code School offers some courses for free, and costs $29 a month if you wish to unlock all of their content. They also have great customer support if you think something is broken or working improperly. Treehouse is one of the fastest growing coding sites with the most content out of anyone on our list. Over 200 courses and hundreds of hours of video on your typical coding topics such as web programming and app development, but they also have business courses if you’re interested in doing something entrepreneurial with your coding skills. Treehouse introduces new content to their site weekly, so there’s always something new to learn. When it comes to pricing, Treehouse offers a 7-day free trial of their courses, but once the trial is up you must pay to continue. Their basic plan is $25 a month and features access to all the interactive courses on the site. If you’re really serious about making a career change, you can hop into their Techdegree program which will give you customized curriculum, guidance on building real-world projects to show prospective employers, exams, and a certification. This plan costs $200 a month, but judging by their student success stories, it pays off. Start your free Treehouse trial today, your future awaits! 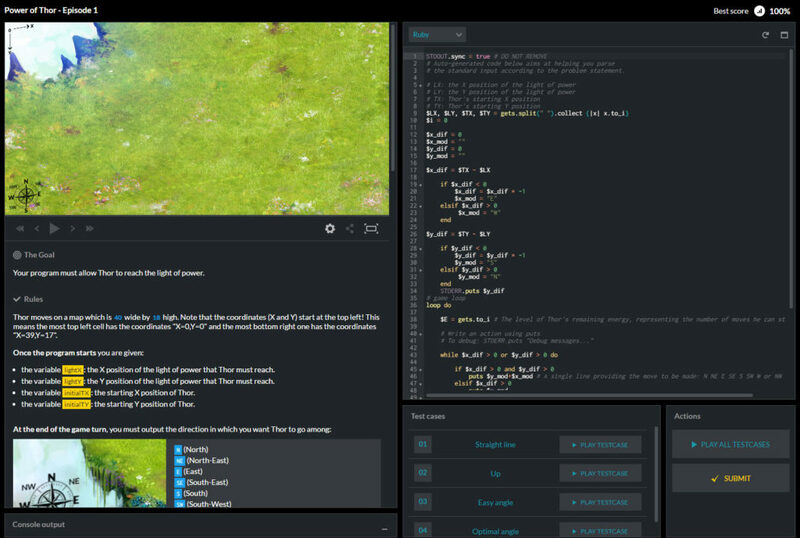 Codecademy is another very popular option for aspiring programmers that focuses more on hands-on coding right from the start, and less videos explaining the concepts behind what you’ll be doing. If you prefer to learn as you do, then you will love the Code Academy approach. 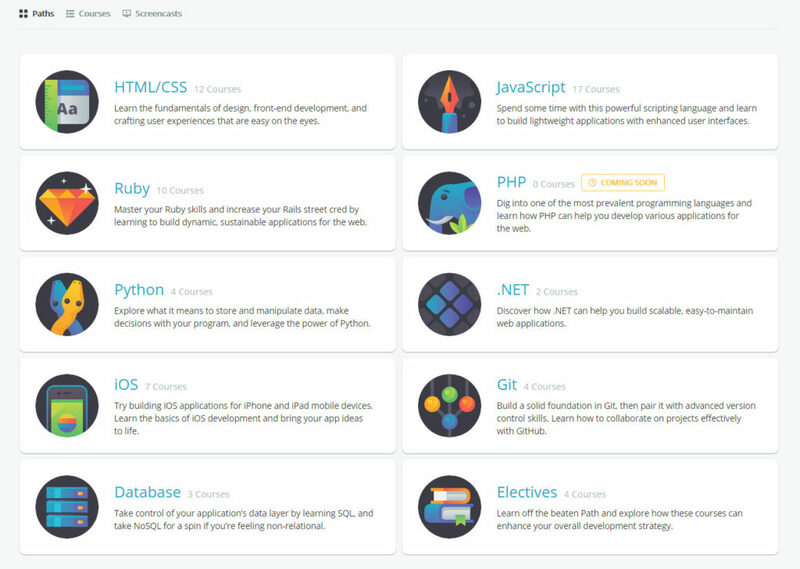 Codecademy features just about all the most popular programming languages you can think of, including Java. They offer many courses for free, and a membership to unlock all their content costs $19.99 a month. CodinGame is a really great and fun way to practice your coding skills in a video game kind of environment. You level up and earn achievements as you solve coding puzzles that are acted out on the screen in the form of a video game. You’re able to attempt the challenges in a variety of programming languages including C#, Ruby, Java, Python, and many more. You can also compete in multiplayer contests, some of which even have cash prizes! This site is better to expand your knowledge and test your skills once you already know the basics of your coding language. Code Avengers is another online course site with interactive coding modules. One nice thing about Code Avengers is they have a Computer Science module and Design module which teach you some of the reasoning and theory that will make you a better programming than if you just learned coding alone. Khan Academy offers courses that are all 100% free, and you can find many that will dive deeper into theory and Computer Science aspects of coding. Some of these courses are college-level, so they’re more advanced than many of the other sites. We also find the site isn’t as easy to navigate, but they do have interactive coding sections and the comments section is very helpful with answers to common questions from the community. Learn Code The Hard Way is not an interactive website, but instead a collection of books written by Zed A. Shaw. 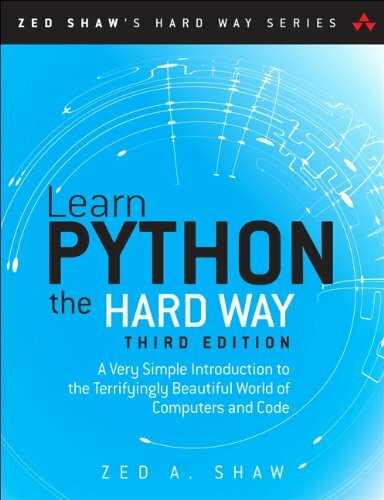 Compared to some of these other sites, learning programming by following along a book or PDF certainly seems like “The Hard Way”, but that might be just what some people want. You’re able to follow along at your own pace and the author does an excellent job at explaining everything a beginner would need to know along the way. You can read the reviews on the Amazon page to better determine if this option is for you.